Part of a trio of ‘Eat, Drink, Sleep’ pubs, the Gurnard’s Head sits amidst of miles of wild coastline in the far west of Cornwall. A few minutes walk from the coastal path means that this is the perfect place for a break from a coast-path walk at any time of year. They serve up an extraordinarily lovely menu which varies daily… not top mention a very fine and expertly selected wine list. This little gem of a pub has a spectacularly grumpy landlord – but an equally memorable stock list. You’ll find spirits and ales from around the world including many that you’ll never have read of. It’s truly unique and very quirky. Sitting in a beautiful location on the banks of the Restronguet creek, this low-beamed and thatched pub has parts dating back to the 13th century. It serves quality food and has a great jetty seating area outside, meaning that you can even arrive stylishly by boat! This is a sophisticated inn that over looks the Padstow Harbour in the middle of the town. The pub serves award winning St Austell ales and serves Cornish ingredients in a stylish and up market way. Panoramic sea views across the bay over Crantock beach, this pub is in a truly stunning location. The ‘pink pub’ as it is fondly known (due to its outside paint job!) holds regular music and themed evenings and offers food from 12pm until late. They also host a beer festival every year, please see website link for more details. 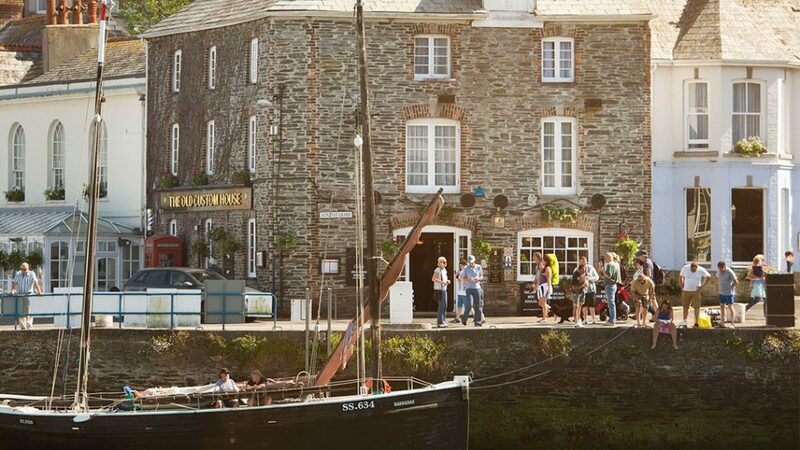 Traditional, harbour side and characterful, the sloop is the perfect place for summer beers on the patio or finding a cosy spot in one of the many booths by the fire in the winter. This pub is popular and friendly and has a varied selection of beers. Hosting regular events throughout the summer months including the Helford regatta. The Shipwrights Arms is in a stunning river side location and has a delightful outside space, but the true beauty of the pub is in the winter when the atmosphere of the whole village is when you open the door to the pub! 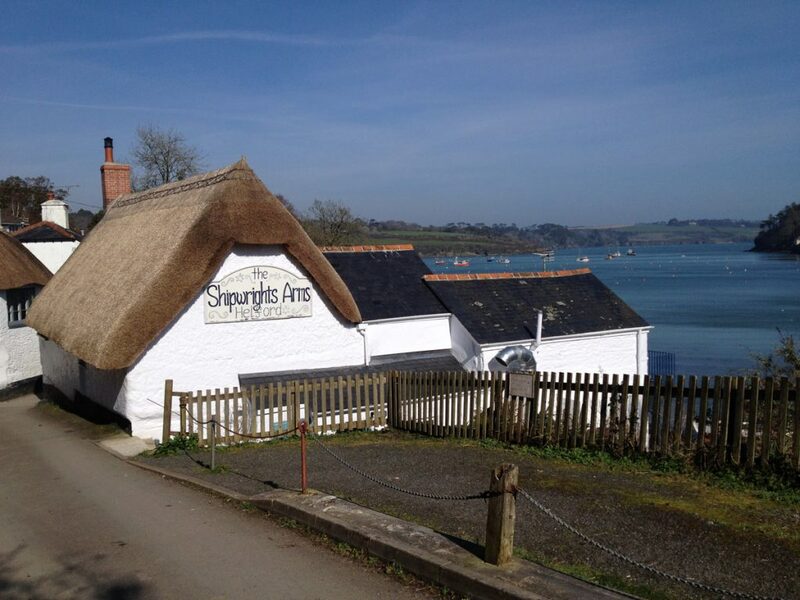 A must see stop on any Helford day trip or walk. Owned and run by award winning Michelin-starred chef Ben Tunicliffe, this pub offers fantastic food at affordable prices. With the Newlyn fish market very close and the selection of local produce on offer in the area, mean the delicious food served here has minimal food miles. A cute pub, open seven days a week and with live jazz every Sunday between 1-3pm. Having won many awards for its food, the inn is no doubt up there with the best traditional pubs in Cornwall. Serving locally sourced food and mastering the right mix of local ales and a great atmosphere, this is a treasure not to be missed. 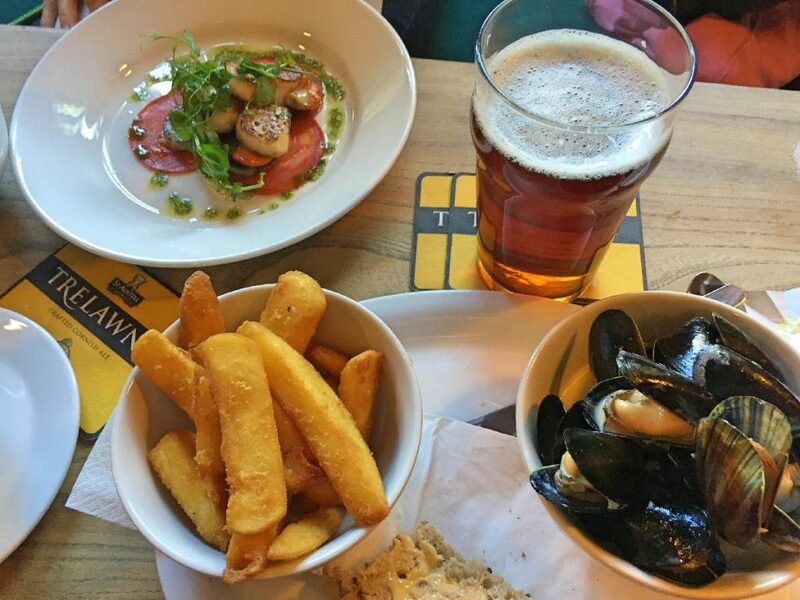 Ideally located on the Helford river this traditional pub suits all, it has a delicious and varied menu offering the best Cornish seafood as well as the classic dishes, is family friendly and opposite a delightful beach.